With the coming of any new year, Californians inevitably look towards ways in which to improve the way they live their lives. Sometimes, this comes down to eating healthier or exercising more, but what about your home? It’s not difficult to neglect the importance of your home’s energy efficiency, especially when you’re working on other aspects of your life. You’ve got to have a comfortable home to come back to at the end of the day, however, which is why 2016 should be the year you opt for home efficiency. There are a multitude of different ways in which you can improve the efficiency of your home. At the end of the day, however, some shine above the rest-- insulation is at the top of the heap. Many older California homes are characterized by a lack of true, solid insulation. Old, dirty, or thin insulation won’t do you or your family any favors, and in the end, it could lead to a marked decrease in indoor air quality. With new insulation on your side, you can enjoy true home comfort and peace of mind about the air you breathe. Insulation can be a very effective tool for improving home performance, but it doesn’t paint the entire picture. Many homes are characterized by a great deal of cracks and gaps that can actually cause inside air to escape and outside air to enter, creating a real problem when it comes to indoor air quality and whole home efficiency. Air sealing can nip this problem in the bud, and it works hand-in-hand with insulation to keep your home comfortable year-round. With the help of a home performance professional from California Energy Services, we can determine exactly what your home requires in terms of air sealing. One of the most important things you can do in order to keep your home in good working order is to schedule a home energy audit. An energy audit is like a visit to the mechanic when you’re having car trouble, only instead, home performance is center-stage. At California Energy Services, we know that the home is a complex system made up of a variety of different factors that can influence one another, and performing a home energy audit will give us the information we need to prescribe the right advice for improving energy efficiency. From there, we’ll design a plan to take home performance to the next level, all the while keeping your budget and needs in mind. 2016 is the year to opt for home efficiency. 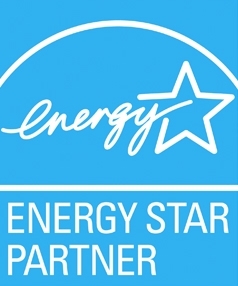 Contact us today to learn more and to schedule an energy audit!